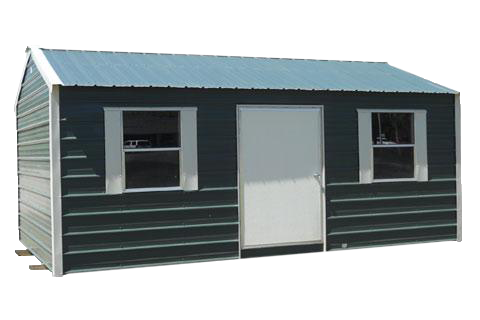 The Cottage style building is perfect for storage or creating living spaces away from home. The cottage, like the peak, features the straight lines inside and out. Create a get-away, an office or a cabin at the lake. 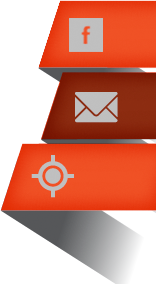 Many different sizes and options are available to meet your needs. Great for classic look for all areas. - Sizes range from 8’ wide to 40’ long. - Standard 29 Ga. Metal, with 26 Ga. available for upgrade. - Option of 36” or 48” standard door. Various door upgrades including double doors and roll up doors. 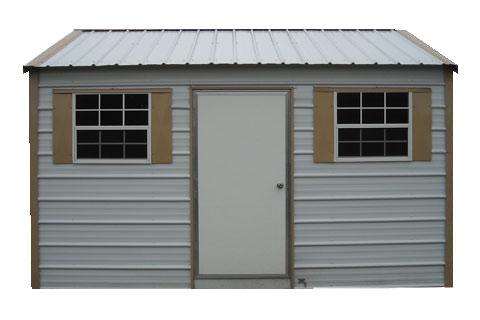 - Standard buildings include 1 - 30” x 27” window, larger buildings come standard with 2 windows. Multiple window upgrades available. 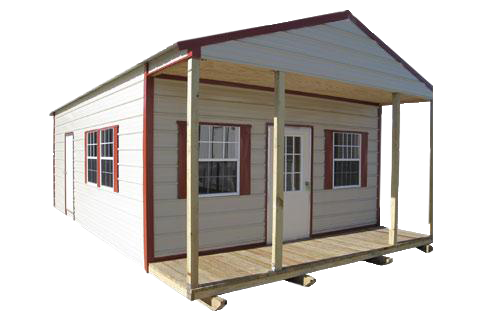 - Cottages are available to be finished out into offices, cabins, or homes.